Old meets new is the flavour of a new lawsuit filed by British Telecom (BT) against Valve and a number of features on Steam that BT claim infringe patents it owns. The 111 page document that was obtained by ESPN lays out a number of infringements that BT claim Valve have wilfully continued to make, including chat, broadcasting, messaging and storage features that exist on Steam. Related: for more top-of-the-line action, check out the best PC games. BT lawyers made the following allegations in the lawsuit: “Despite BT’s repeated attempts to reach an amicable resolution with Valve, and BT’s numerous requests that Valve stop infringing the [patents], Valve has continued to infringe willfully and wantonly. “BT brings this action to recover the just compensation it is owed for Valve’s past infringement, and to prevent Valve from continuing to benefit from the patented inventions in the future without authorization or compensation to BT,” wrote BT lawyers. According to ESPN, the specific patents revolve around Valve’s Steam Library, Steam Chat, Steam Messaging, and Steam Broadcasting features. The lawsuit was filed at a federal court in Delaware. If Valve are found to have infringed any of BT’s patented features, they could be liable to pay monetary damages or would receive a court-ordered injunction, which would prevent them from any further infringement. 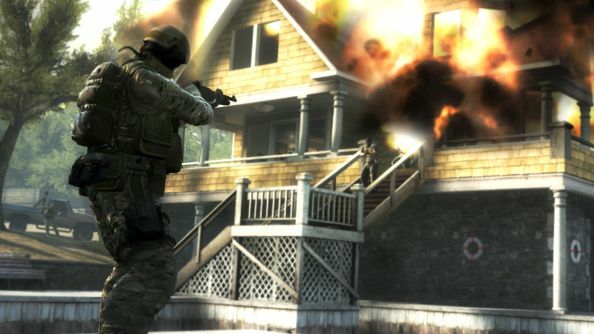 BT’s lawsuit doesn’t cover any gambling-related aspects of Steam, which have been addressed in two separate lawsuits against Valve, both of which resulted in the company chasing down third-party gambling sites for Dota 2 and Counter-Strike: Global Offensive.